The Carnival of Trust for March is up. This month it’s hosted by Duncan Bucknell at his IP ThinkTank blog. What is a Carnival, you might ask? It’s a blogosphere equivalent of an anthology, in which a host collects of blog postings on a particular subject. The Carnival of Trust, unsurprisingly, collects what we hope are some of the best writings every month on trust. What if the post office ate your Intellectual Property application? Why is a virtual community like a Koi Fish Pond—particularly with respect to recycling waste? 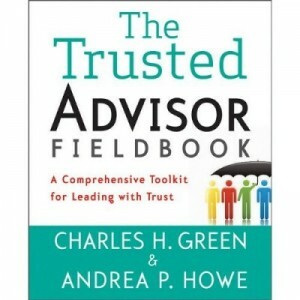 How can you build trust while facilitating meetings? Enough with trusting your lawyer—can your lawyer trust you? The cool thing about the Carnival of Trust (I think) is that each guest host (the host rotates each month) must limit him- or herself to only 10 choices; the Top Ten of the month. Secondly, each host must succinctly add value in their commentary—think of those great one-paragraph movie reviews in the New Yorker. Do yourself a favor: click through to this month’s Carnival and enjoy some incisive, interesting writing, courtesy of Duncan Bucknell. And if that whets your appetite, by all means have a look at past Carnivals. Like to see your own blog posting in a future Carnival? Submit your blog entry here. Trust me, you can’t win if you don’t post an entry! 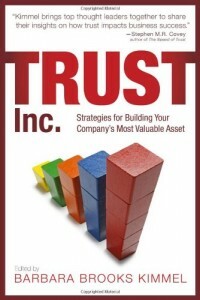 Next month’s host will be Mark Slatin, whose musings on trust and business are worth reading any day. Who(m) Do You Trust? Collaboration is the New Competition: Isn’t It? In life and death situations, do you trust competence, or someone who cares about you?